PRAYER PROMPT ••• Have you ever gone through a season of your faith when it feels like God is distant? In your head, you know He’s there. You know He hasn’t left you. But your heart feels like there’s a gap of some sorts? And you’re not sure why? It’s like a hunger and thirst you feel for the closeness of God, but it doesn’t feel plentiful. I’ve been there, and I’ve learned it’s at those times that I need to hyper-focus on His Word, and pray more, and ask Him to show me what I may be doing that has perhaps interrupted close communion with Him. Because I promise, if you find yourself in that situation, it’s you, not Him. I don’t say that in a mean way, but the only time we may feel a disconnect is through our own sinful nature. Perhaps you’ve unconsciously allowed a slight shift in focus to interrupt your relationship. The great news is 1) restoration to a full relationship is a prayer away and 2) He never leaves us. As we prepare to celebrate Christmas and the birth of Christ, it’s important to remember this truth: all who are born will eventually die. But only Jesus was born with the purpose to die. His death and resurrection provided the solution that we never have to be separated from God. Because of Jesus, not even death can separate us from the love of God. Today, as you pray, if it feels like there’s a gap in your relationship with God, ask the Holy Spirit to help you readjust your focus so you can feel the closeness with Him. 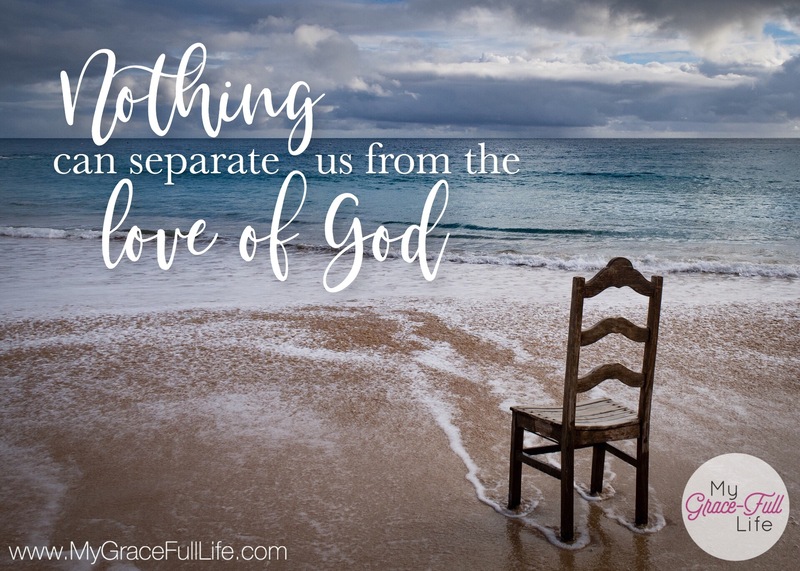 Thank Jesus for ensuring we never need to worry about being separated from God’s great love. Next Next post: 12.23.17 Prayer Prompt: Can We Pray Too Much?